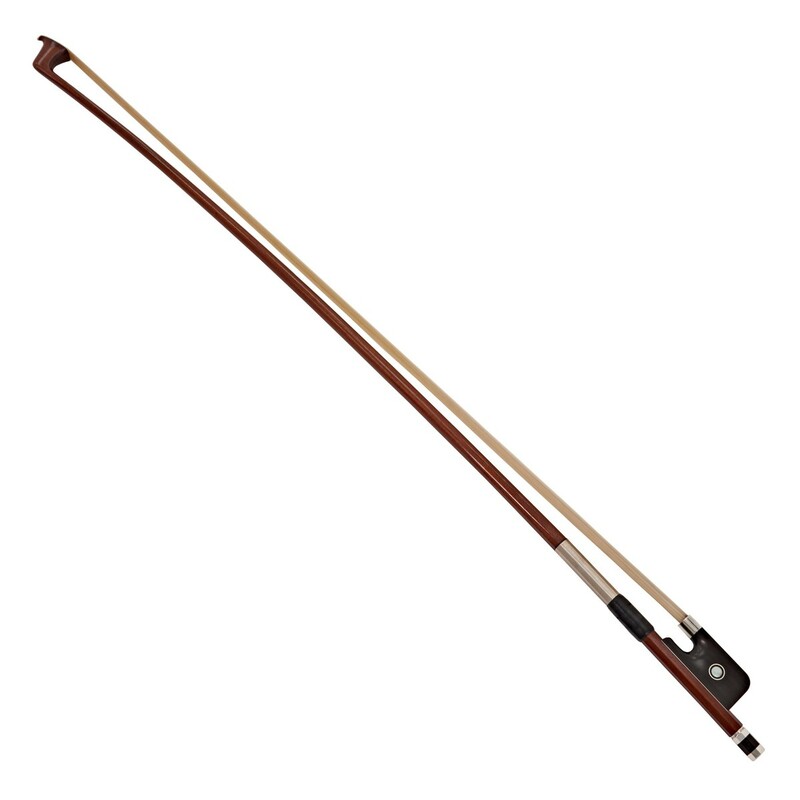 The Marco Raposo CB031 Cello Bow has comfortable playability and a weighted feel. This bow combines intricate hand crafting methods with modern technological advancements for a feel that’s both familiar and consistent. The rounded stick is ergonomically designed for a comfortable grip. The Brazilian Pernambuco wood stick translates the subtle nuances and expression in your performance for an open weight on the strings. This cello bow enables the advanced and musician to develop and articulate their own tonal characteristics and playing style. After studying the art of bow manufacture in New Hampshire, Marco Raposo established his work shop in Domingos Martins, Brazil. By utilising one of the most precious forms of Pernambuco wood, the Pau-Brasil, Raposo achieved a high quality bow that translates the sound in each musician's head to the strings. His manufacturing style combines the best attributes of German and French traditions, providing each musician access to unlimited playing styles. Marco Raposo has always played a large part in the conservation and sustainability of Pernambuco, which has been declared as a protected species of wood. Working closely with forestry officials and their own production facility managing a large forested area, the company helps prevent major damage to the environment, while maintaining and growing the highly desired Pau-Brasil Pernambuco. This results in the quality which is demonstrated across the range of Marco Raposo bows.